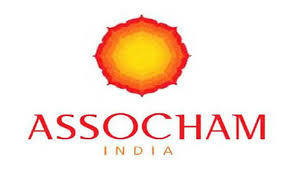 The total retail sales in India is likely to increase from the $717.73 billion during CY 2014 to touch $1,244.58 billion by 2018 as its growing at an impressive rate of about 15%, registering a double digit growth figure year after year, according to an ASSOCHAM-Resurgent India latest study. In 2017, about 100 million consumers purchased online and the number is expected to cross 120 million by 2020 with the rise of digital natives, better infrastructure in terms of logistics, broadband and Internet-ready devices to fuel the demand in e-Commerce. As per the findings of the joint study, Bangalore has left behind all other cities in India shopping online in the year 2017. While Mumbai ranks second, Delhi ranks third in their preference for online shopping, adds the study. In other cities like Bangalore, its population chose to buy daily routine products through e-shopping which will go to 75% this year for apparel, gift articles, magazines, home tools, toys, jewellery, beauty products & sporting goods categories. Likewise, Mumbai share was 68% in the last year, which might go up another 72% in this year for electronic gadgets, accessories, apparel, gifts, computer peripherals, movies, hotel booking, home appliances, movie tickets, health & fitness products and apparel gift certificates etc whereas, Delhi, 65%% of its population chose to buy daily routine products through e-shopping in 2017-18, which will go to 68% by the year end. In 2018, mobile commerce will become more important as most of the companies are shifting to m-commerce. Mobile already accounts for 30-35% of e-commerce sales, and its share will jump to 50% by 2020, adds the report. E-commerce is big business and getting bigger every day. Online shopping has been embraced by Indians with close to 25-30 million adults making a purchase via the internet in the last year. The paper said, online shoppers and buyers starting with a base age of 18 are become more involved with ecommerce in their early teens, adds the paper. There is a surge in the number of people shopping on mobile across India with tier II and III cities displaying increased dominance. In fact, 50% of our traffic is coming from mobile and a majority of them are first time customers, adds the paper. The year 2018 will see large scale growth in the Indian e-commerce sector with increased participation from people across the country. This industry will continue to drive more employment opportunities and contribute towards creating more entrepreneurs through the e-commerce marketplace model, noted the study.